The 7805 voltage regulators employ built-in current limiting, thermal shutdown, and safe-operating area protection which makes them virtually immune to damage from output overloads. 7805 is a three-terminal positive voltage regulator. With adequate heatsinking, it can deliver in excess of 1A output current. Typical applications would include local on-board regulators which can eliminate the noise and degraded performance associated with single-point regulation. 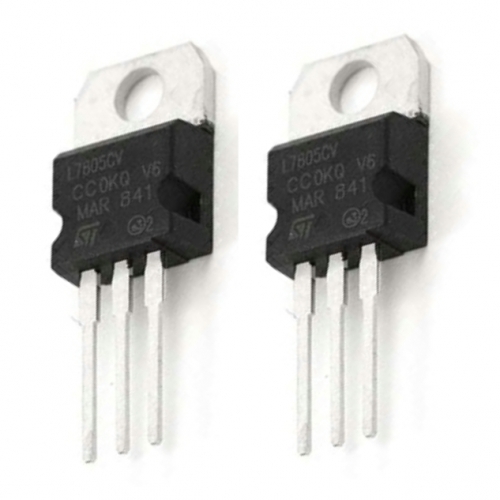 LD1117 Voltage Regulator 3.3V (Pack of 2) This is the basic LD33cv voltage regulator, a low drop positive regulator with a 3.3V fixed output voltage. This fixed regulator provides a grea.. Included 5 x 100nF (0.1uF) 5 x 22pf 5 x 10uF 5 x 100uF 5 x 220uF 5 x 1000uF Shipping List 1 x Capacitor Kit .. 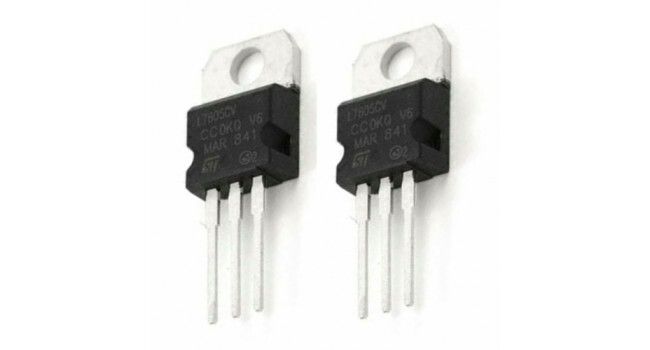 Crystal 16MHZ (Pack Of 4) Quick Spec 16Mhz Low profile 4mm height 4.8mm pitch Shipping List 4 x Crystal 16Mhz Low Profile ..
Quick Specs DIODE, 1A 1000V Diode Type: Standard Recovery Diode Configuration: >Single Repetitive Reverse Voltage Vrrm Max: 1kV Forward Current If(AV): 1A Forward Vo..